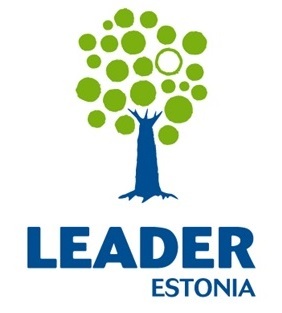 The event, organised by the Estonian Rural Network Support Unit, aims to promote LEADER Cooperation. It will gather European and national-level LEADER/CLLD stakeholders, including Local Action Groups (LAGs), Fisheries Local Action Groups (FLAGs), National Rural Networks and Managing Authorities. Information of cooperation possibilities. Partnership search. PARTNERSHIP SEARCH activities in different rooms. Teams of 3-5 persons can compete in short funny relay race game. Team members should belong to different organisations and nationalities. Thematical workshops will start with two project example presentation from different countries to inspire following discussion. The target of workshops are to search good ideas for possible cooperation projects and to find new contacts. All the workshops' best ideas will be collected and forwarded to the participants. Konstantin Mihhejev - leading specialist, European Innovation Partnership (EIP) topics. Erik Lööper - leading specialist, videos and technical support of Rural Network activities. Arrival to Jäneda is possible on 24.08 morning or also on 23.08. Guest house has reserved the rooms. Arrival transfer: Tallinn airport to Jäneda by organized transfers. First transfer from Tallinn to Jäneda will be organised on the evening of 23th August 19:00 and 24th August from airport 10.30. Additional information will be sent to all participants. Accommodation in Jäneda Guest House or in Nelijärve Holiday Centre per one night for twin room costs ca 45 €. Possible to get cheeper room for 3-perons and also more expensive single rooms. Transfer buses between Nelijärve - Jäneda is organised. Booking the room during filling the registration form. Select your dates and put your preferences to comments. Selection of LAG tour will be marked during filling the registration form. Departure. Most LAG Tours will end in Tallinn airport and city centre on 26.08. Only TOUR 5 will end in Tartu, but you can catch a bus directly to Tallinn airport (2,5 h). Transfer on departure on 25.08. Transfer 1 will go directy to Tallinn airport. Transfer 2 will go first to LEADER project and ends in Tallinn airport 17:30. If there are special requests, we can solve them by taking you to the train to train station "Aegviidu" (about 7km from Jäneda). 25-26.08 - Start 14.15 after LEADER Fair events from Jäneda to different LAG regions. Participation fee is 65€, including full board and accommodation in regions. Participants will select LAG TOURS during filling the registration form. During LAG Tour you will have different place for accommodation, in different regions, not anymore in Jäneda or Nelijärve. No fee for participation of LEADER Fair events on 24.-25.08. Participants should cover their accommodation in Jäneda guest house: one night 45€ for twin room, on 24.-25.08 or 23.-25.08. (Payment mostly on-spot by Credit Card or cash, but possible to get pre-payment invois as well). Who will arrive on 23.08 can also have dinner 20.30 in guest houses (for 10€). LAG Tour participation fee is 65 €. Payment by pre-payment invoice only.